inspiration and learning about modern quilts and new techniques. I look forward to what the future will bring to our "little" guild. When I first saw the announcement about our guild starting in January 2016, I was so excited and eager to attend the first meeting. 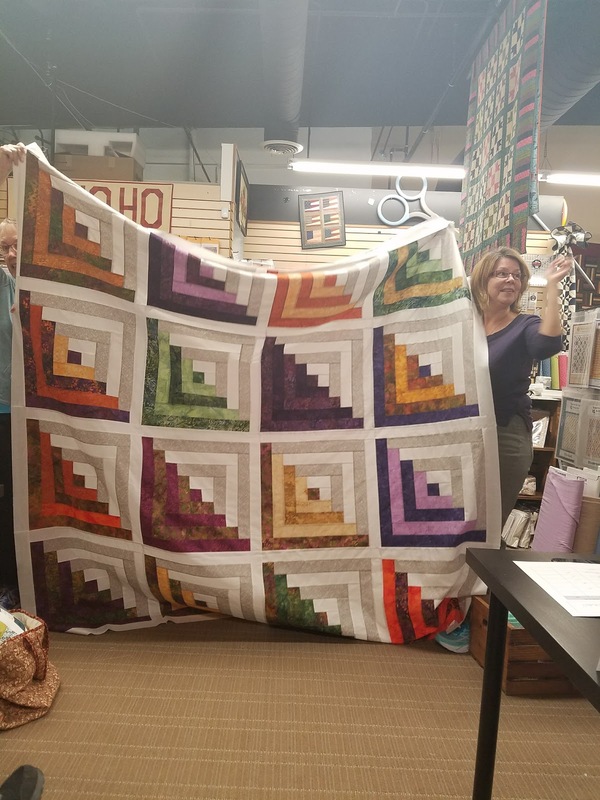 I became a member immediately and have no regrets in joining our wonderful group of women, who each bring such talent, warmth and generosity of spirit to all. I am currently the Secretary, which has been a nice experience, even though challenging at times with my schedule. It has been wonderful to see our guild grow and find its way. A challenge indeed with any new group starting. I am happy to see that a portion of the meeting is used to teach techniques. I would like to eventually see the Show and Tell include more information from each presenter about what they learned in the project, challenges, and tips for others when encountering similar projects. I retired from Orange County Social Services in 2012. My last position was Director of the Family Self-Sufficiency Program. I have a BA in Social Work and a Master in Public Administration. I loved working in child welfare and making a difference in the lives of families. Just prior to retiring one of our employees shared that I had been the social worker for one of her family members, and that one day when I visited the home as the social worker she had been so positively impacted that she made a decision to become a social worker. As a result of being a social worker, she adopted two children. This young woman's story was the most significant event of my career - I truly had made a difference in someone's life. I am on the Advisory Board that supports the Riverside First 5 Commission. I recently started my second year on the Advisory Board. I was appointed by Riverside County Supervisor Chuck Washington, Third District. This position allows me to be involved in making a difference in families in Riverside County. My husband and I have been married 42 years and have a wonderful daughter, son-in- law, step grandson, grandson and granddaughter. Our daughter is an RN at CHOC and we are extremely proud of the wonderful woman that she is. We couldn't have been more blessed. 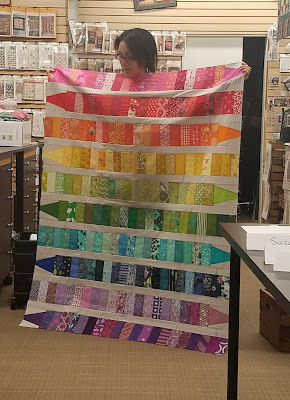 In October 2016, I won second place in the Keepsake Quilting Prints and Woven Challenge, see the link http://www.keepsakequilting.com/prints-and-wovens-challenge, they have a short bio on me and my winning quilt. 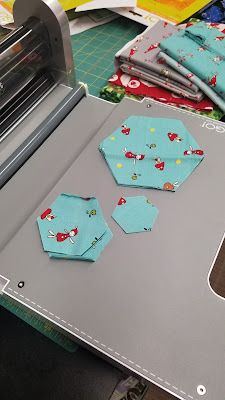 (Angelica, your paper piecing demo was pivotal in my ability to design this pattern using paper piecing.) I had not entered any contests, so was thrilled to win at this level. 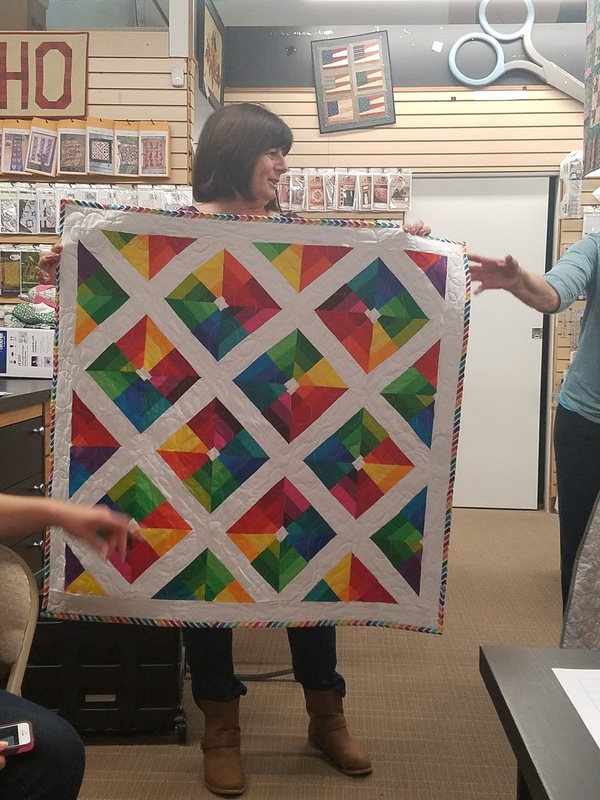 Shortly after entering this contest, I also submitted a block to the Modern Quilt Guild, and much to my surprise the block was selected for the January 2017 Block of the Month. I would like to continue entering challenges, but don't want this to become the focus of my creativity. 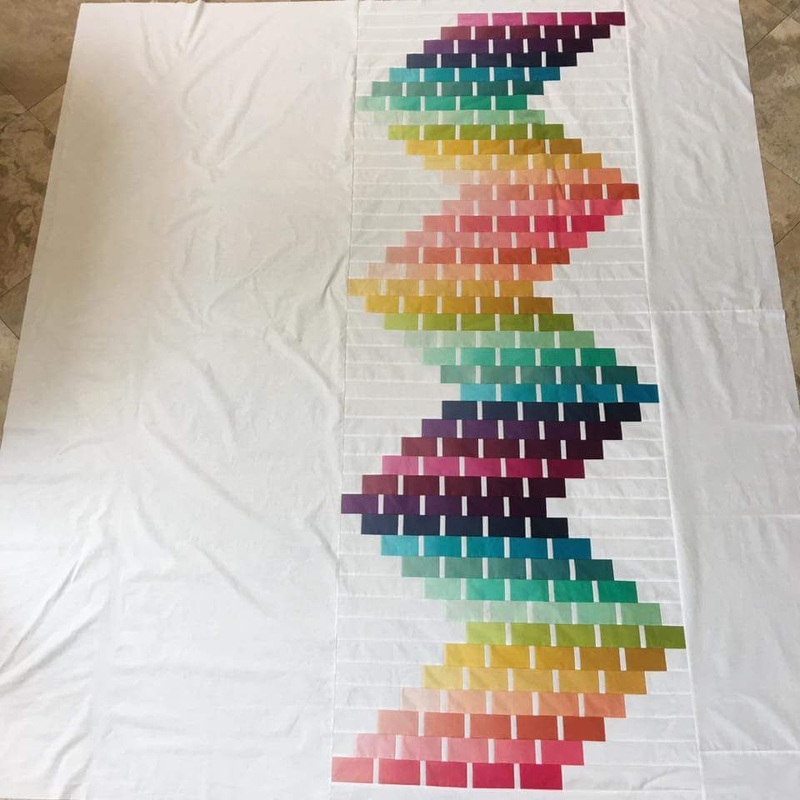 I can't say that I stick to any one fabric color, line, etc. I try to let fabrics "speak to me" as to how to best use them. Recently I started collecting black and white prints and eventually want to design a quilt (idea that has been brewing in my head for a while). 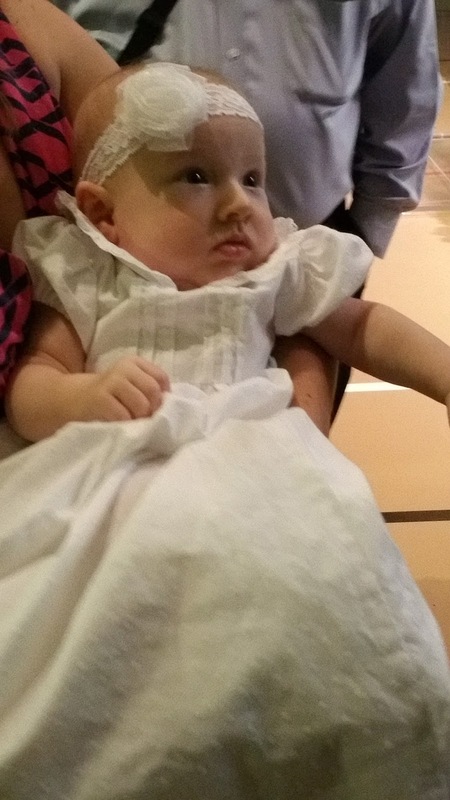 I have to say that the baptismal outfits that I made for my grand children have a very special place in my heart because of the significance of baptism. 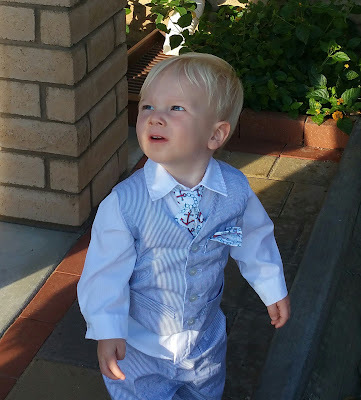 Here are pictures of them in their special outfits. I love being creative, so I know how to quilt, sew garments and home dec, crochet, cross stitch, machine embroider, make paper crafts including cards, and making jewelry. 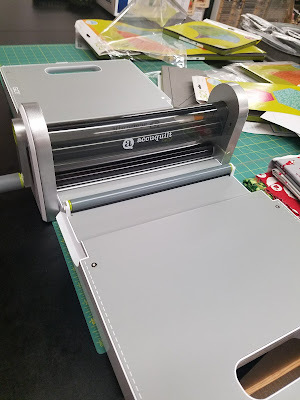 I have cut back a lot on other crafts since unfortunately there are only so many hours in a day to dedicate to a craft. 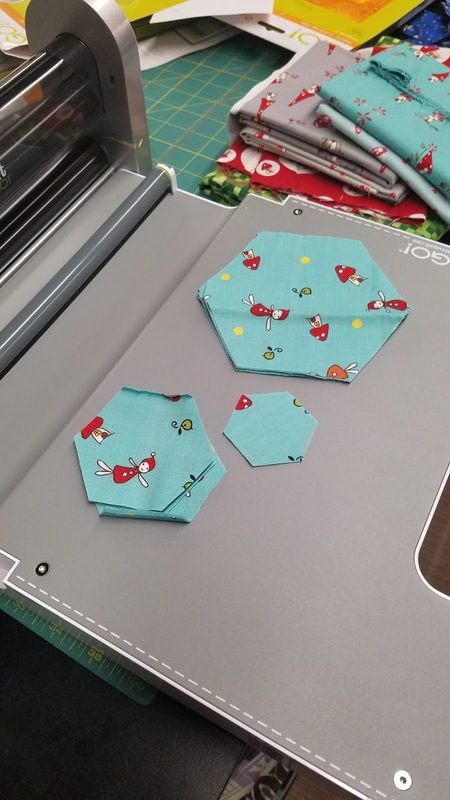 I tend to focus on sewing these days and I still have to many projects in my "head" that need to be created. Due to so many things going on, I have decided to limit my social media activity to Facebook. I eventually want to start a blog and truly hope that I can accomplish this in early 2018. 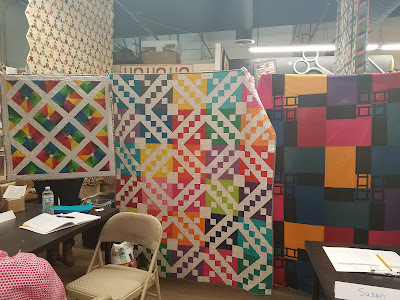 I enjoy following on Facebook Christa Watson, The Modern Quilt Guild, Modern Quilts Unlimited, Moores Sewing, and some other sewing and machine embroidery groups. Christa focuses a lot of her information on free motion quilting and what is currently happening in quilting. 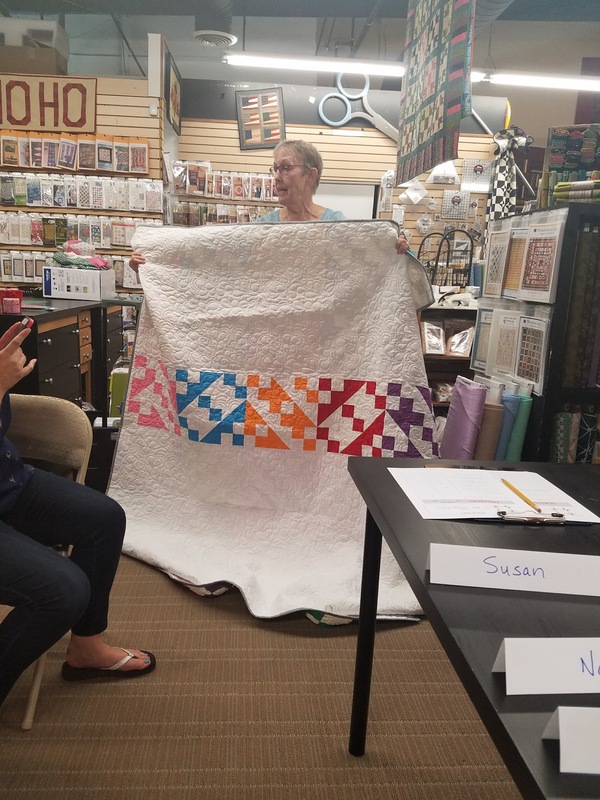 She is down to earth and responds to anyone's questions about quilting. Her site is informative and inspiring. 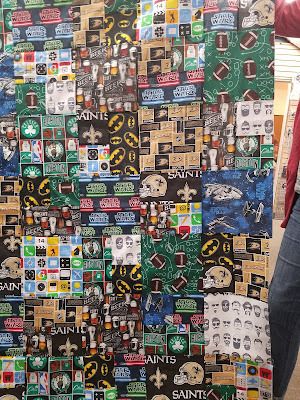 I make most of my projects for family and eventually want to start selling what I make. 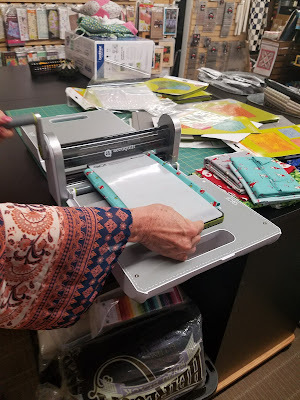 I am certified to teach Beginning Sewing and Heirloom Sewing under the Martha Pullen program (specific projects with each of the certifications). 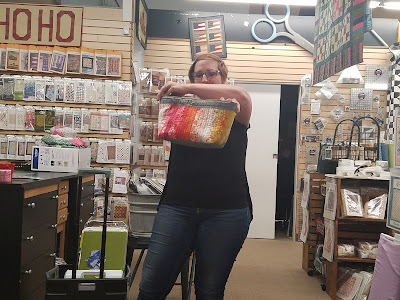 I also can teach some Sulky Thread Art projects. 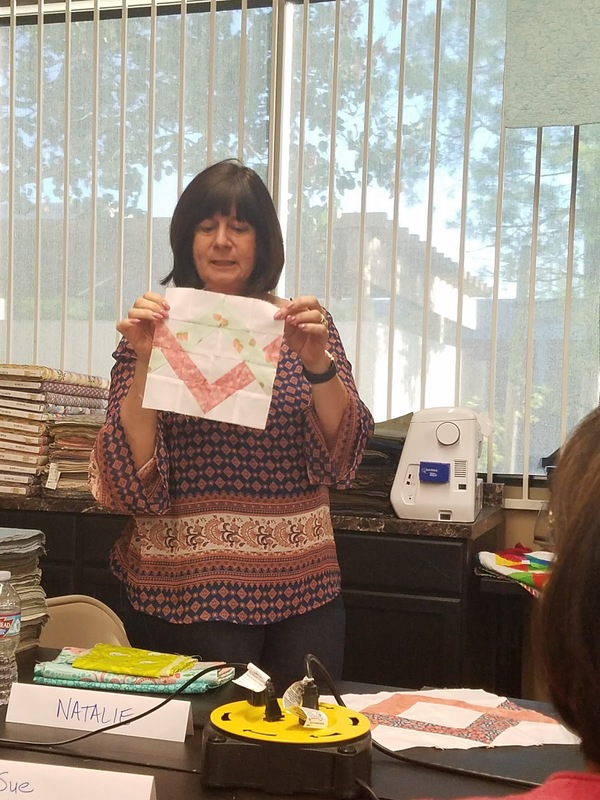 My ultimate goal is to reach out to teen group homes in Temecula and start teaching foster youth how to sew. I truly believe this creative outlet will be empowering for them. Sewing brings me great joy and inner peace - I simply can't imagine my life without it. 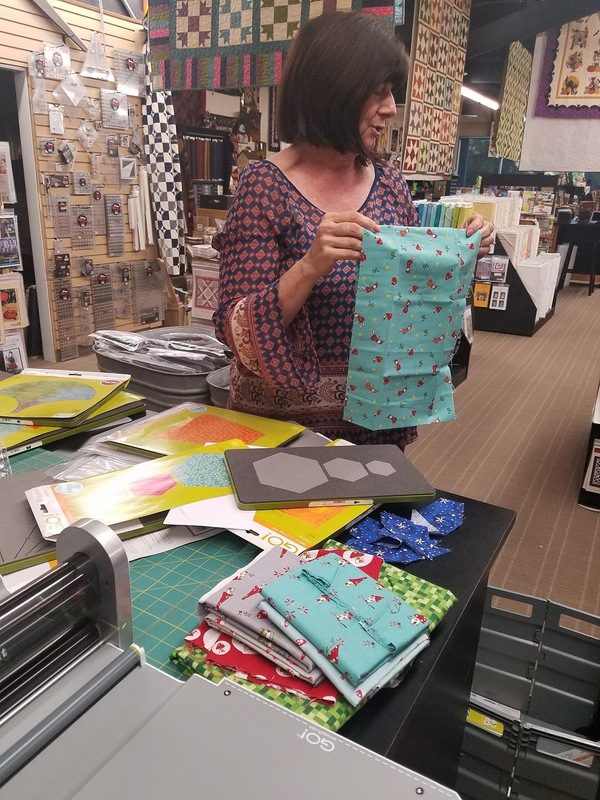 God blessed me with the ability to sew and for that I am very grateful. Another fun meeting in the books! Last week we all got together to share some fun stuff we created and discussed some fun new opportunities ahead. 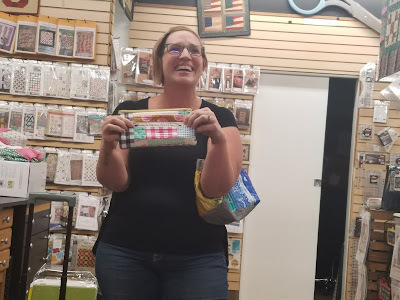 Jan showed us some cute new information cards that Maritza made for us. They'll be placed at local fabric shops to let others know about our group. A few months ago Jan challenged us to make a quilt out of solids only. 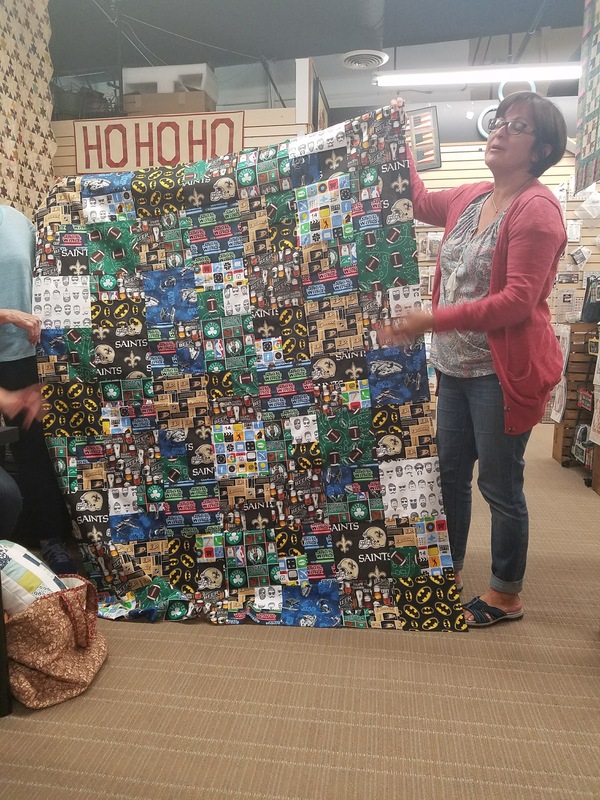 She, along with Natalie and Maritza, showed off their Solids Challenge quilts. 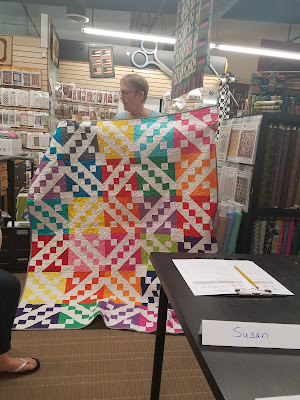 Jan used a Jacob's ladder pattern for hers. Natalie used the Kite Flight pattern. 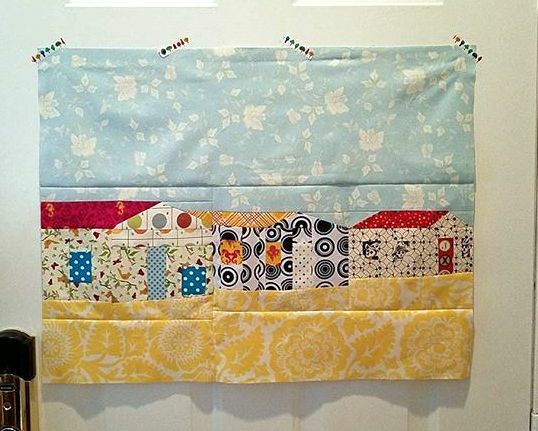 And Maritza used her own pattern, which was featured on the MQG blog a few months back. Jane couldn't be with us, but shared her quilt top on Facebook before our meeting. Also brought up at the meeting was the idea of joining the next QuiltCon Charity Quilt Challenge. We'll discuss it more next meeting, but hope some of us can get together to assign a "Charity Project Leader" and a "Design Team" for it. 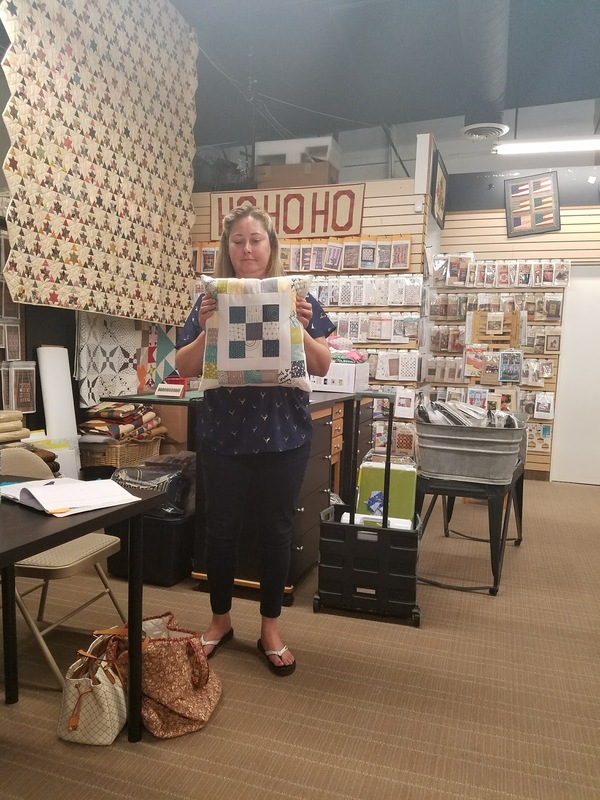 Natalie went over next month's block of the month and showed us the blocks she had made. 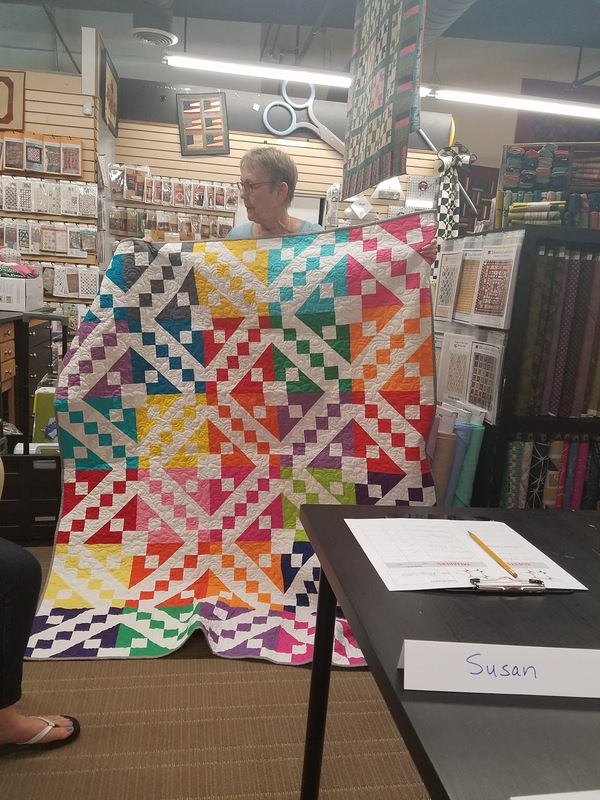 The block is called the Woven Chevron. 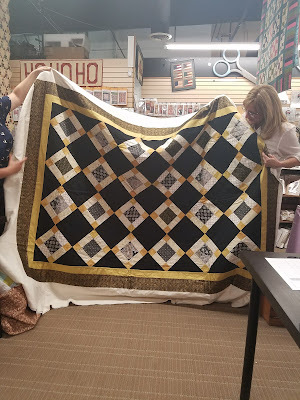 To start off Show and Tell, Linda brought out a huge, beautiful, and very scrappy log cabin quilt that lays on her queen bed. Sue told us a story of a wedding guest quilt she was asked to make for her niece out of the solid blocks squares that she ended up changing and making into something just beautiful. 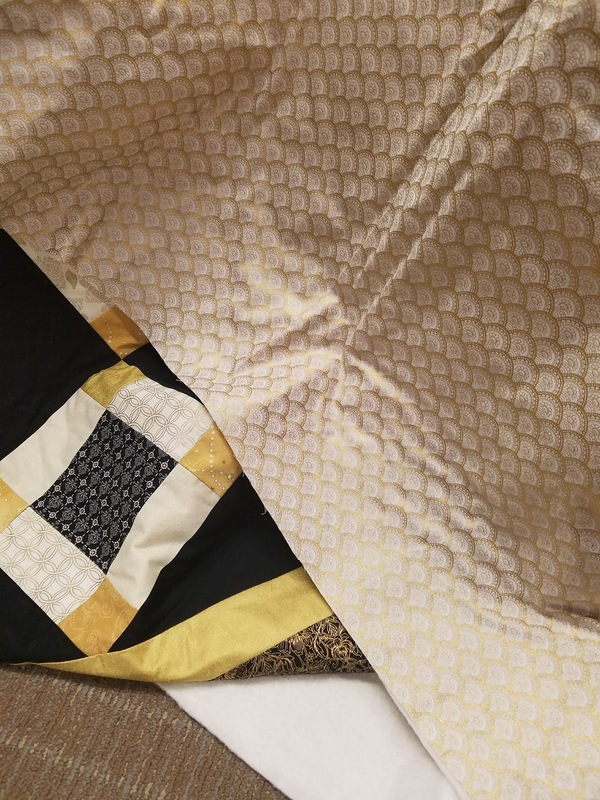 The gold she used on the front and the backing were so elegant. 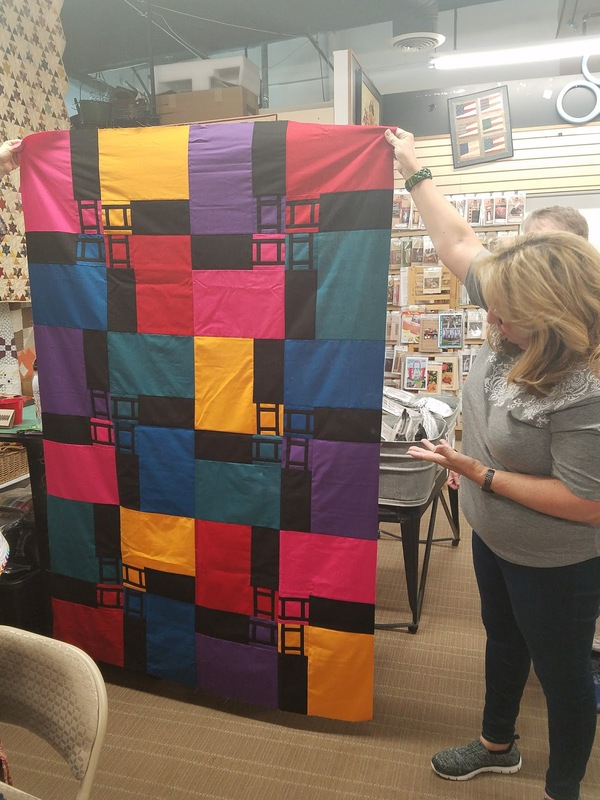 Natalie brought in this lively and bright quilt she had originally started for the Solids Quilt Challenge. 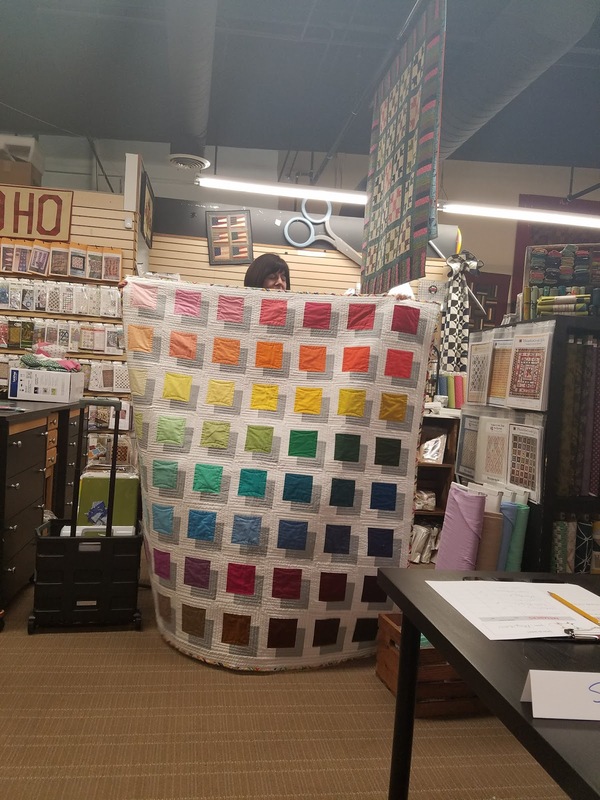 She later went with the other quilt in fear she wouldn't have this one done in time. 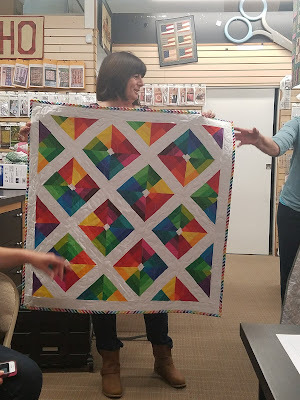 Judy finished piecing her "Room and Board" pattern blocks together form last month's meeting to make this lovely quilt top. Colleen showed us a beautiful rainbow basket she made with her friends last month. She also showed us a cute zipper bag a friend made for her. I brought in a quilt top that's almost complete (just missing the outside borders) that a friend and I are gifting to our daughters' Kindergarten teacher. 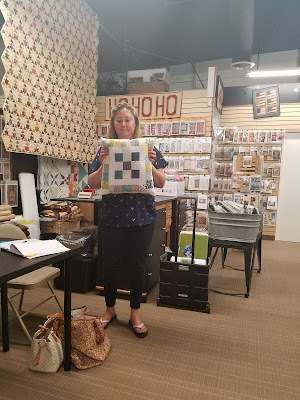 The pattern we chose was the Color Me Quilt. 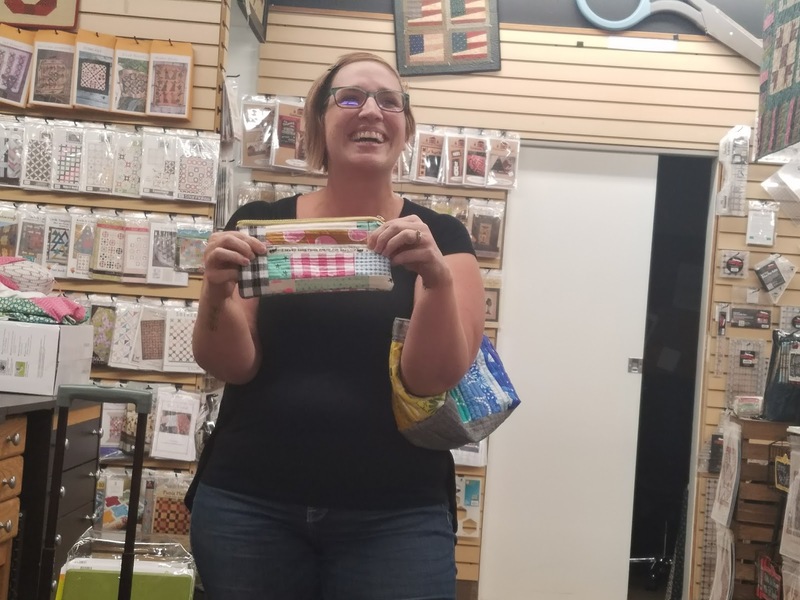 Jessica made this adorable quilted pillow out of 2.5 in squares. Our demo for the evening was how to operate an AccuQuilt GO!, by Natalie. 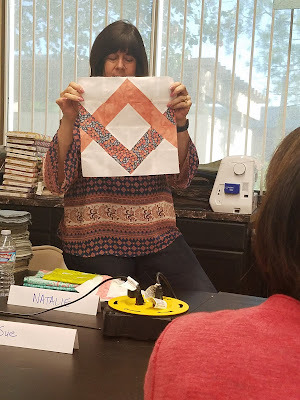 She showed us how to use the machine to create quick and easy cutouts from fabric. 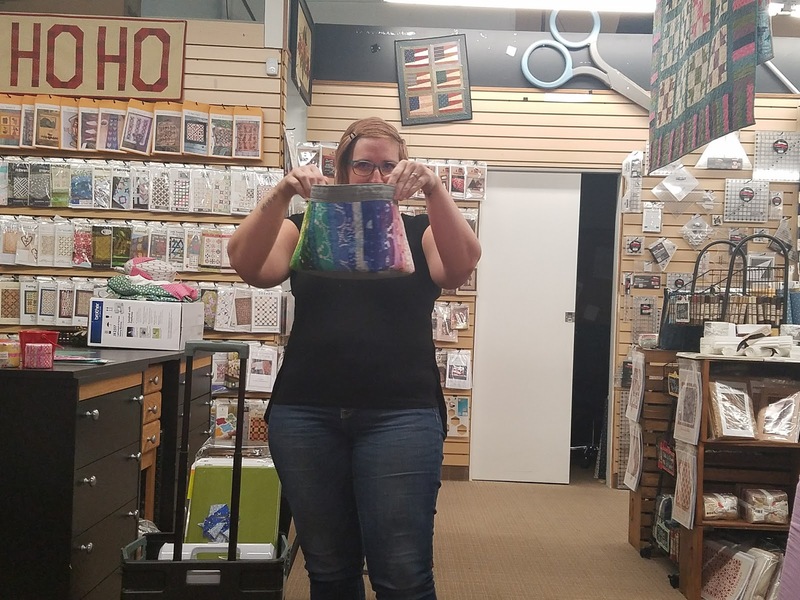 I (Angelica) won 2 pixie rolls of fabric, quilting stencils, quilter's roll clips, and numbered pins; Natalie won the 2017 QuiltCon bag with 2 fat quarters and a MQG water bottle; and Judy won the $20 gift certificate to Primitive Gatherings. Here are the May BOM blocks that were collected. 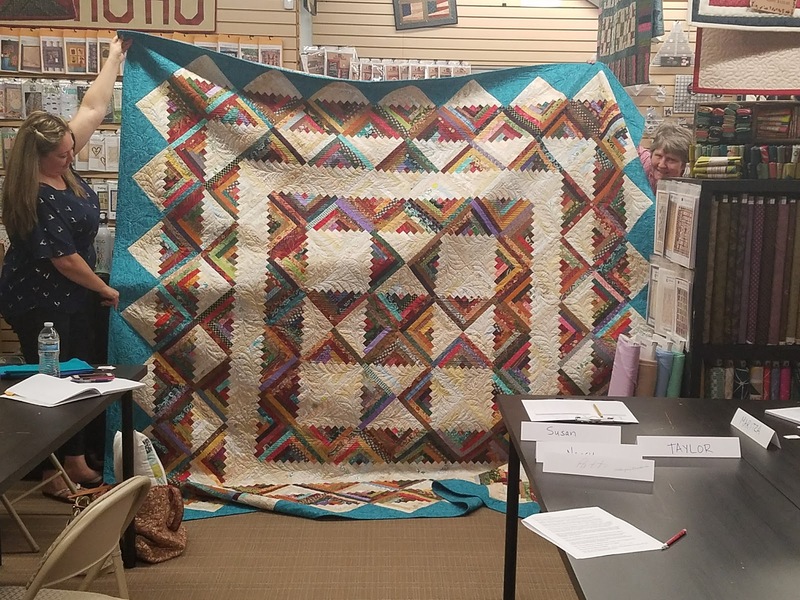 Temecula Valley Modern Quilt Guild meeting is this Thursday at Primitive Gatherings at 6:30! 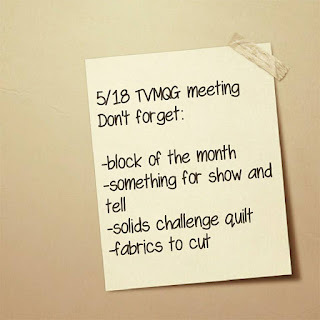 Be sure to bring your completed block of the month, something for show and tell, and your solids challenge quilt. Also, a quick reminder that Natalie is bringing in her Accuquilt GO!, so be sure to bring in any fabrics you'd like cut. 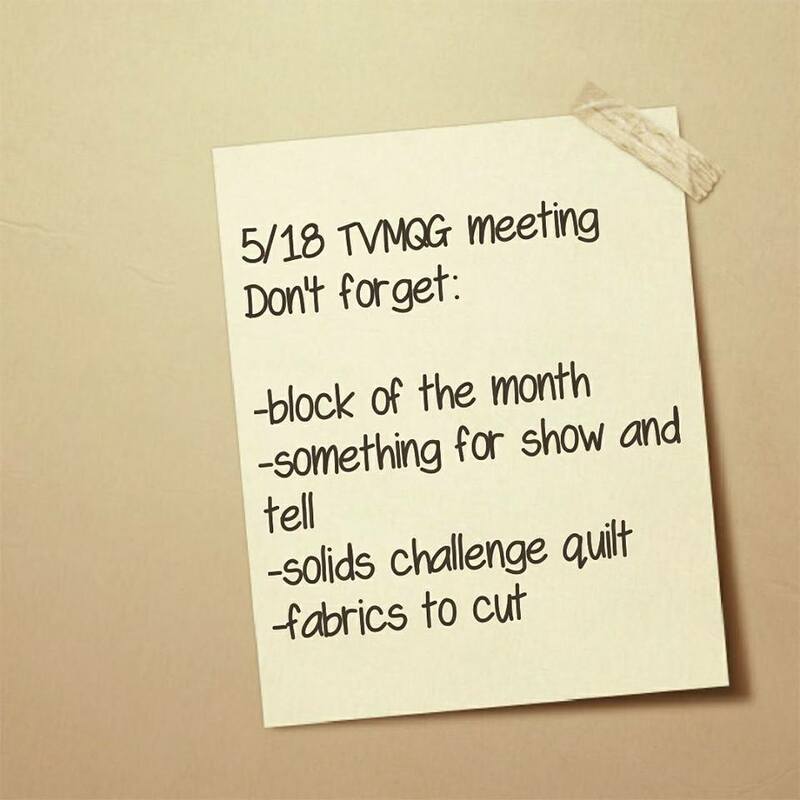 We have a full agenda including a new challenge! Hope to see you all there!